Here are 4 FREE Fall picture pokes or tracing pages. It includes pictures of a pumpkin, leaf, acorns and an apple. The child can either trace each picture and the word or use a thumb tack to poke out the picture. This is great for a fine motor station in early learning classrooms. Print the pages full size, half size or all four on one page – directions included. 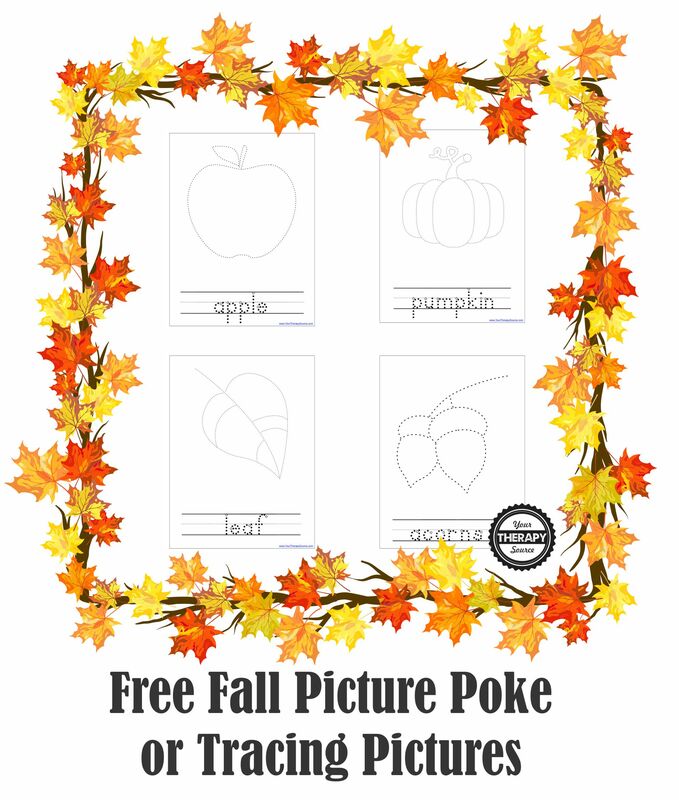 Download the FREE Fall Picture Pokes to practice fine motor and visual motor skills. Need more fine motor activities with a Fall theme? 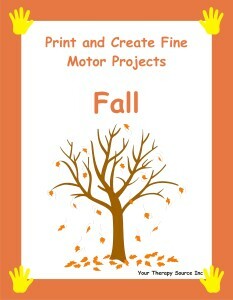 Check out Print and Create Fine Motor Activities Fall Edition: This download is a collection of 10 fine motor projects with a Fall theme. This download encourages: fine motor skills, scissor skills, finger and hand strengthening and visual perceptual skills. FIND OUT MORE INFORMATION and download another freebie!